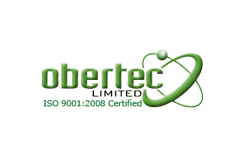 FABTECH Canada is where you can meet with world-class suppliers, see the latest industry products and developments, and find the tools to improve productivity, increase profits and discover new solutions for all of your metal forming, fabricating, welding, and finishing needs. 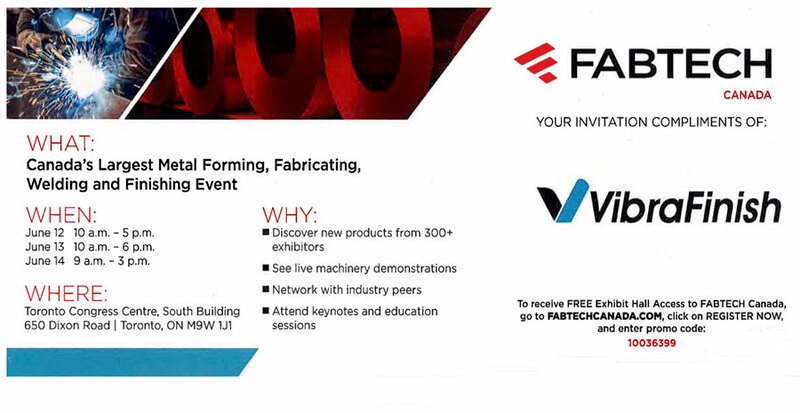 FABTECH Canada provides a convenient venue where you can meet with world-class suppliers, see the latest industry products and developments, find the tools to improve productivity, and discover new solutions to all of your metal forming, fabricating, welding, and finishing needs. 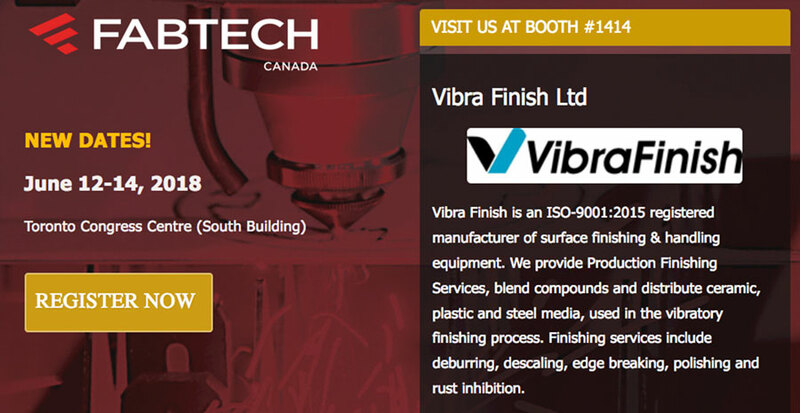 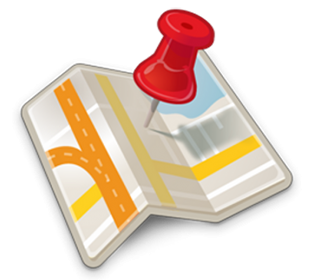 You can register here directly for free and join the FABTECH Canada 2018 (code 10036399) as the guest of Vibra Finish and Obertec, or you can register on Vibra’s site right here, just click the registration button. 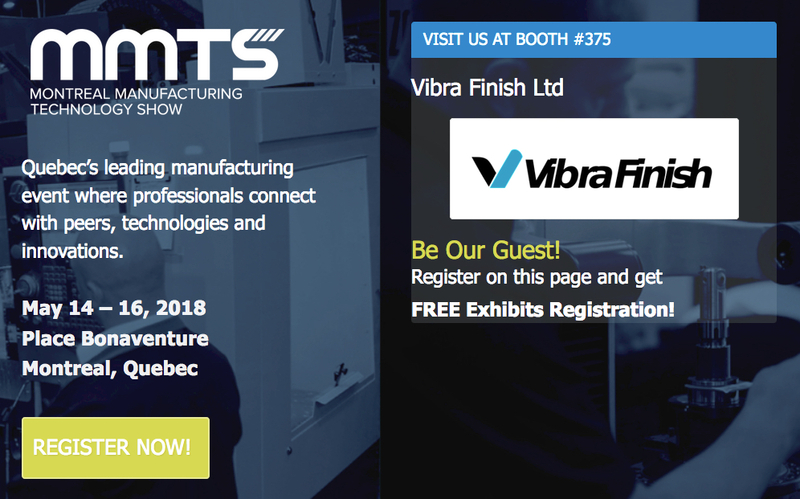 FABTECH Canada only happens every two years – so don’t miss this chance to make new connections, strengthen your business and increase profits.